The first novel by the author of the acclaimed Pulitzer Prize-winning #1 New York Times bestseller All the Light We Cannot See, one of the most beautiful, wise, and compelling debuts of recent times. 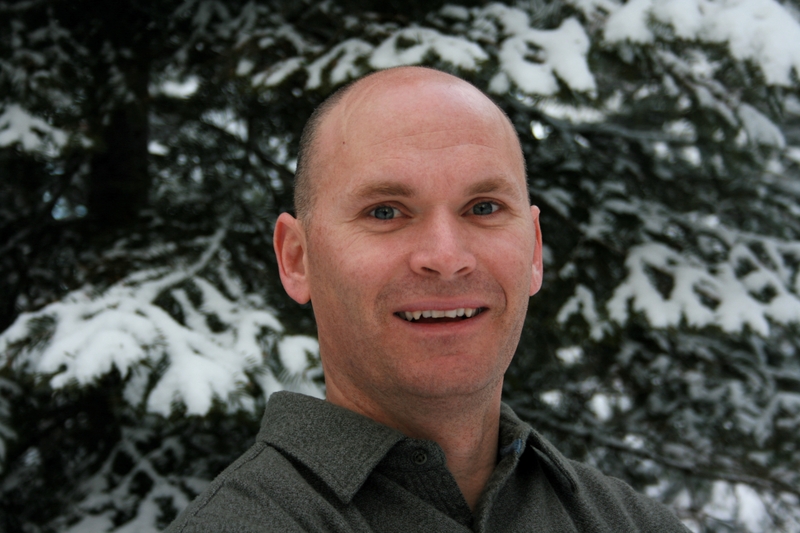 David Winkler begins life in Anchorage, Alaska, a quiet boy drawn to the volatility of weather and obsessed with snow. Sometimes he sees things before they happen—a man carrying a hatbox will be hit by a bus; Winkler will fall in love with a woman in a supermarket. When David dreams that his infant daughter will drown in a flood as he tries to save her, he comes undone. He travels thousands of miles, fleeing family, home, and the future itself, to deny the dream. On a Caribbean island, destitute, alone, and unsure if his child has survived or his wife can forgive him, David is sheltered by a couple with a daughter of their own. Ultimately it is she who will pull him back into the world, to search for the people he left behind. Doerr's characters are full of grief and longing, but also replete with grace. His compassion for human frailty is extraordinarily moving. In luminous prose, he writes about the power and beauty of nature and about the tiny miracles that transform our lives. About Grace is heartbreaking, radiant, and astonishingly accomplished. He made his way through the concourse and stopped by a window to watch a man with two orange wands wave a jet into its gate. Above the tarmac the sky was faultless, that relentless tropic blue he had never quite gotten used to. At the horizon, clouds had piled up: cumulus congestus, a sign of some disturbance traveling along out there, over the sea. The slim frame of a metal detector awaited its line of tourists. In the lounge: duty-free rum, birds of paradise sleeved in cellophane, necklaces made from shells. From his shirt pocket he produced a notepad and a pen. The human brain, he wrote, is seventy-five percent water. Our cells are little more than sacs in which to carry water. When we die it spills from us into the ground and air and into the stomachs of animals and is contained again in something else. The properties of liquid water are this: it holds its temperature longer than air; it is adhering and elastic; it is perpetually in motion. These are the tenets of hydrology; these are the things one should know if one is to know oneself. He passed through the gate. On the boarding stairs, almost to the jet, a feeling like choking rose in his throat. He clenched his duffel and clung to the rail. A line of birds -- ground doves, perhaps -- were landing one by one in a patch of mown grass on the far side of the runway. The passengers behind him shifted restlessly. A flight attendant wrung her hands, reached for him, and escorted him into the cabin. The sensation of the plane accelerating and rising was like entering a vivid and perilous dream. He braced his forehead against the window. The ocean widened below the wing; the horizon tilted, then plunged. The plane banked and the island reemerged, lush and sudden, fringed by reef. For an instant, in the crater of Soufrière, he could see a pearly green sheet of water. Then the clouds closed, and the island was gone. The woman in the seat next to him had produced a novel and was beginning to read. The airplane climbed the troposphere. Tiny fronds of frost were growing on the inner pane of the window. Behind them the sky was dazzling and cold. He blinked and wiped his glasses with his sleeve. They were climbing into the sun. "A beautiful and expansive novel. . . As I neared the end, I read more and more slowly, increasingly reluctant to leave this intricately imagined world behind." "One of those novels that works its way into your very dreams." "This mesmerizing novel is pitch perfect . . . utterly unforgettable." "A taut, gorgeously written odyssey of heartbreak and self-forgiveness." "I loved this wonderful book--its strangeness, its obsessiveness, its beautiful sentences." "About Grace celebrates the blessings all around us, whether it's the miracle of forgiveness by our loved ones, or the miracle of nature all around us." "Truly beautiful. . . Doerr has a talent for painting vibrant, enchanting scenes." 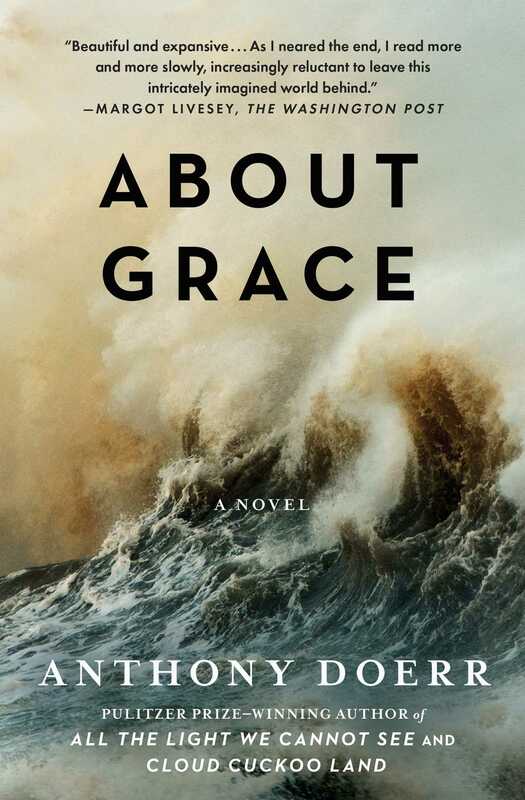 "About Grace is an extended meditation on the tides and eddies of life itself, spun out in sentences that never fail to thrill, amaze or edify." "There's a rapture with nature expressed in prose that sings off the page; an infinitely subtle algebra of resonance and sympathy between minds, lives, objects, light, senses, weather." "A stunning meditation on chance and pattern, exile and home. Gorgeous, transporting, and deeply, deeply satisfying. Equal parts science and magic (but all of it magical)." "Doerr deftly weaves a tale of one man's struggle to make peace with his life."